Guess who got to wear the Dodgers "Player of the Game" belt last night? This Day in Dodgers History: In 1901 the Brooklyn Superbas (Dodgers) set the franchise record for runs scored in a game at 25 against the Cincinnati Reds. In 1947 the Dodgers held Jackie Robinson Day at Ebbets Field during his rookie season. Jackie was noticeably moved when his teammates stood besides him at home plate. In 1962 Maury Wills stole his 96th and 97th bases of the season to break Ty Cobb's Major League record for steals. In 1978 Lee Lacy hit a pinch-hit home run on the first pitch of his at-bat in the seventh inning -- just moments before Dodgers thirdbase coach Preston Gomez came up to Lacy, shook his hand and whispered, "hit this one over the wall for Junior." Dodgers coach Junior Gilliam was in the hospital fighting for his life from a brain hemorrhage. He would pass away a couple of weeks later. If you hadn't seen Chase Utley's unbelievable behind-the-back sprawling-on-the-dirt no-look flip to first to get an out, then you need to do that now. Go here to check it out. This is awesome. 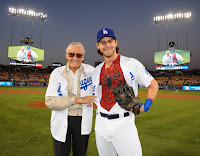 Via Matthew Mesa at Dodger Insider; "Send personal messages to Vin Scully at #DearVin." Of all the glowing articles written about Vin Scully that have been shared over the past several weeks I gotta say that this one is the best. It's refreshingly honest while at the same time sings his praises. Via Keith Olbermann at GQ; "Vin Scully Is a Legend, But He's Not a Saint." He’s not as good as everybody’s making him out to be—he’s better. Wow! This is fantastic. 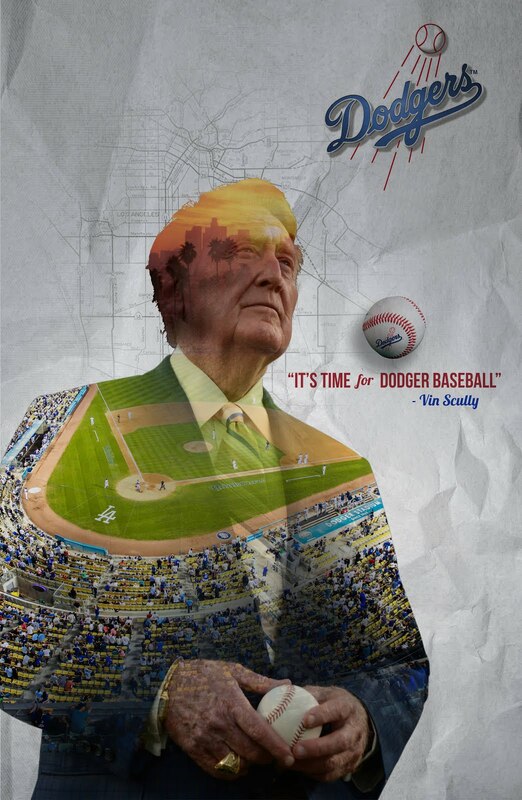 DodgerBros Redditor u/throwupKID shares a great Vin Scully themed poster he designed and welcomes fans to download if for free. Yuu should check it out here. See it on the right. Via Eric Stephen at True Blue LA; "Chase Utley named 2016 Roy Campanella Award winner." The award is given to the player who best exemplifies the spirit and leadership of the three-time MVP and Hall of Fame inductee. 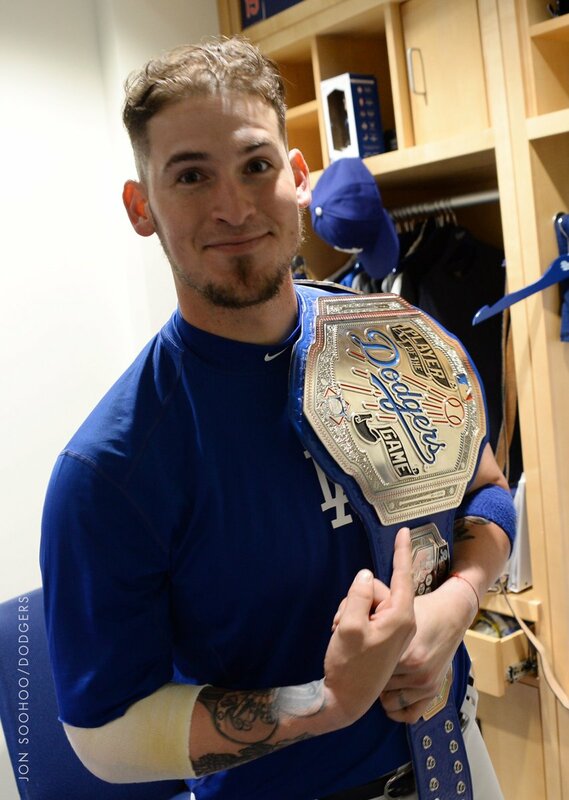 Dodger players and coaching staff are the voters for this award. “That’s a fitting award for Chase,” said manager Dave Roberts after the game. The fundraising event is in support of the MLB Youth Academy in Compton, California, which is celebrating its 10th anniversary in 2016. 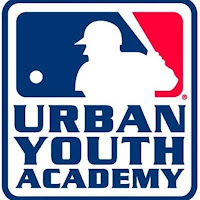 The Academy provides free, year-round baseball and softball instruction to young people from communities, particularly those that are underserved, within the greater Los Angeles area. Registered participants for the Celebrity Golf Invitational, which has been organized at the direction of MLB Senior Vice President of Youth Programs and former Los Angeles Angels General Manager Tony Reagins, will have the opportunity to play their rounds with sports and entertainment celebrities. As of today, additional baseball legends scheduled to attend include Hall of Famers Reggie Jackson, Eddie Murray, Frank Robinson and Ozzie Smith as well as former players, including Eric Davis, Doug DeCinces, Mark Gubicza, Kenny Landreaux, Kenny Lofton, Gary Matthews Jr., Darren Oliver, and Reggie Smith. Additionally, Los Angeles Angels manager Mike Scioscia as well as current Major Leaguers and Compton Academy alumni Aaron Hicks (New York Yankees) and Vincent Velasquez (Philadelphia Phillies) are also scheduled to attend. Major League Baseball will honor Hall of Fame Manager and longtime Compton Youth Academy supporter Tommy Lasorda with a Lifetime Achievement Award at a banquet that will follow the round of golf. Additional sports figures scheduled to attend include Football Hall of Famer Eric Dickerson, sports announcer Terry Gannon, former basketball player and coach Byron Scott as well as Basketball Hall of Famers Reggie Miller and Cheryl Miller, who are the siblings of MLB Vice President of Youth & Facility Development and the first Director of the Compton Youth Academy Darrell Miller. Film and television stars, including Anthony Anderson, Don Cheadle, Brian Dietzen, Lou Gossett, Jr., Greg Kinnear, Kelsey Grammer, George Lopez, William Petersen and Richard Schiff, are also scheduled to hit the links.